Asthma Specialist in Jaipur: In this article we are talking about the risk factor in Asthma Disease. Have you ever think, what puts a person at risk for developing asthma??? Any idea!!!! No, ok just have a look of this article. In below section we are describing some common risk factors that are normally responsible for developing asthma. 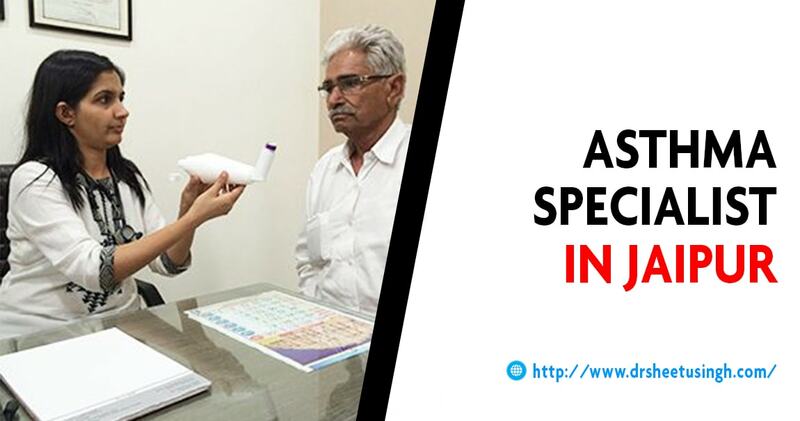 Get best treatment form the top Asthma Specialist in Jaipur. If your parent or grandparent is suffer with asthma disease then the chances is automatically increases to four to seven times in you more than a person who doesn’t have any family history of asthma. In most of the cases, person during its childhood or babyhood had any respiratory problems that causes breathe roughly in night or any child experienced viral lungs or respiratory infections then the chances is increases to develop chronic asthma. If any person is have any type of allergy then it may be possible that it is the main reason of asthma. Don’t take allergy in an easy, immediate consult with your doctor. In your workplace, if you come in contact with certain substances or elements such as dusts (wood or industrial dust), chemical vapors, gases or fumes can cause the asthma symptoms. If you are smokers, then here we tell you smoking causes high risk of asthma. If a woman smokes during the time of pregnancy then the chances is automatically increases that her child will suffer from asthma in future. Air pollution is also increases in the risk of asthma. People who grew up in highly polluted area or in urban areas have raises the risk of asthma.